What does Mary Ann Rivers want us to know about her? As a writer, what drives you? Risk, story, trying things, pushing myself, having fun, challenges, dares. Writing is a way to play, as a grown-up. Which makes it irresistible, difficult, and hard to stop doing. I also really love collaboration, which is deeply motivating. As a woman, what drives you? The idea of finding my voice, and getting my voice heard. The idea of any woman getting her voice heard and taking up as much space as possible. 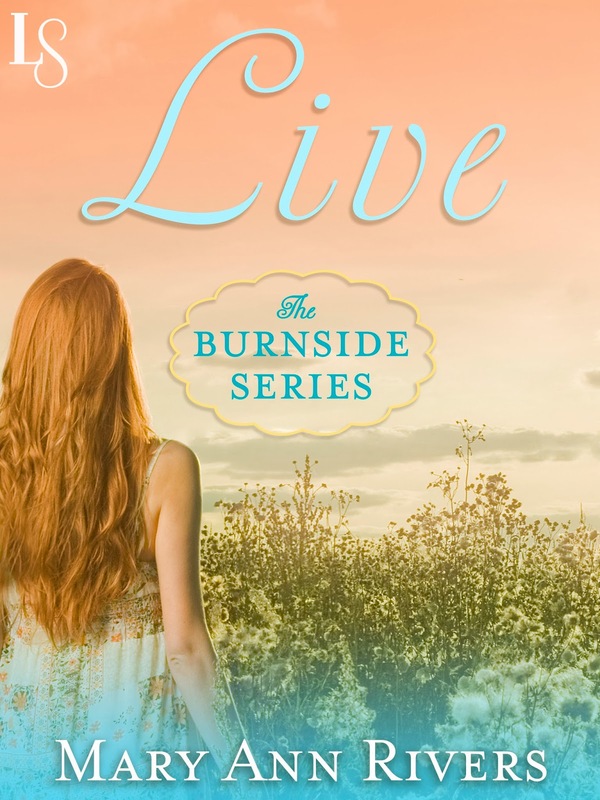 Can you tell us about Live: The Burnside Series? 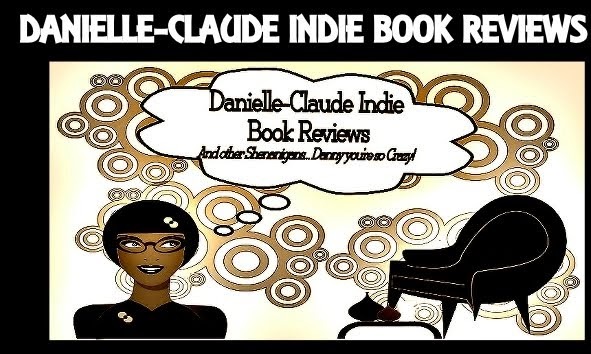 Destiny Burnside is the youngest middle sister and at a serious crossroads in her life – she’s unemployed, has recently suffered the loss of her father, the major peacemaker in her large family, and yearns to find her passion. To distract herself, she harbours a secret crush on a man she sees at the library. He’s harbouring a secret crush on her. Hefin Thomas is a Welshman -- an impulsive marriage brought him to the United States, but when the marriage ended, he got stuck. A passionate man, he’s also reserved and this reserve has left him in a holding pattern. However, rediscovering his creative passion (woodcarving) that connects him to his father and Wales, he’s ready to move on, and move back home to Wales. Except, he finally approaches Destiny, the determined and lovely woman who he’s admired coming into the library. This is the first of a series of four novels about a large family in a close-knit neighbourhood. It’s a series close to my heart, and explores home, family, relationships, and what motivates us to act in our own lives. How much of yourself is hidden in the characters in your books? My characters reflect how much I have observed and been exposed to in life – though both experiences and encounters with art, education, people, and writing. They also reflect how I have processed those experiences from my own position of knowledge and ignorance, empathy and privilege. My imagination, as well, is another overlay and is what weaves and knits and patches and sews all of that together. Writing is a life of the mind, and comes from my own life, from many, many difference directions. I know my characters, because I know those parts of myself and my ideas about those parts of people I have known or imagined. It’s such a complex matrix, but also, what makes it so rewarding to write, because it’s a way to process where I am at with how I think about myself and others. Sensitive, fierce, creative, vulnerable, unfinished. I write something before I do almost anything in the morning. It helps me to get my brain in a track of thinking and creating even if life intervenes and I don’t get to what I wanted to that day, writing-wise (I’m a mom and I also work outside the home, so this happens). I usually, then, plan what scenes I would like to write that day. I’m a scene by scene writer. I may look over what I have so far, make a little map, see where I have to make things clear. I usually have a kind of rough map or outline for the whole book. Then I may let my critique partner know what I’m planning to do that day, because those scenes are ones she is likely to see. If I have time that day, I’ll revise per her comments. I have other writers I work with, that I may give different pieces to at different times. That said, every book is a different process, and sometimes you have to patient with that. What I’m writing right now, for example, required a great deal more planning. Also, I have to work in time for research, interviews, and revisions of larger pieces of a book. 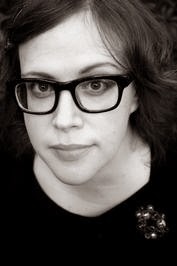 These things also depend on having time, space, resources – so writers get support from other people, and have to negotiate support with others. It’s very difficult. In the current book, LIVE, I think it would be really fun to be PJ (Paul is his given name and he’s Destiny’s little brother). He’s stylish and talented and young and desperately in love with his big sister’s best friend. I think it would be a lot of fun to be PJ for the day. Favorite song: This is so difficult, and I know that it changes, all the time. I listen to music a lot and I play music. Though I find myself edging back to the band Neutral Milk Hotel over and over. Book: Another impossible choice. A few I have re-read more than once over my life are LONESOME DOVE, 1-800-HOT-RIBS, ARIEL, A SUMMER TO DIE, THE BLUEST EYE, ARE YOU THERE GOD? IT’S ME MARGARET, BOSSYPANTS, MY SIDE OF THE MOUNTAIN, GRAPES OF WRATH, TO KILL A MOCKINGBIRD, and about 10,000 more. I know how my stories are going to end, as far as the action and narrative. As far as getting to that last line, it’s something I know when I’m about five to ten pages away from it, and it always feels pretty intuitive. People are always asking me this so I’m paying it forward. Where does your inspiration come from? All kinds of things. Music, art, my job, conversations, people watching, parenting, books. Even though I am not a visual artist, myself, I feel like I get a lot of ideas from visual artists. Also, daydreaming. I can’t say too much, but --- a Robin Hood retelling. The good guy, the bad boy and the right guy…could they be one and the same? Most definitely. One and the same, and at different times, and for different reasons. Humans are nothing if not surprising. If you could have a power or ability what would it be? I’m a little bit afraid of superpowers, but I’ve said before it would be nice to have a kind of Deanna Troi-like empathy to assist in navigating relationships. I free write and write test scenes – it’s like a more active kind of daydreaming. I also talk about my characters with writer friends, and do a lot of thinking about how they speak and what they do and who they care about. I’ll often to a great deal of research or interviews with other people, too, to get a sense of the kinds of things that would concern or affect my character in life. A lot of test scenes, though, just playing.